Actress Kareena Kapoor Khan, who was last seen onscreen in Veere Di Wedding, says that actors or actresses have to have gumption to do whatever they feel like doing irrespective of any medium. 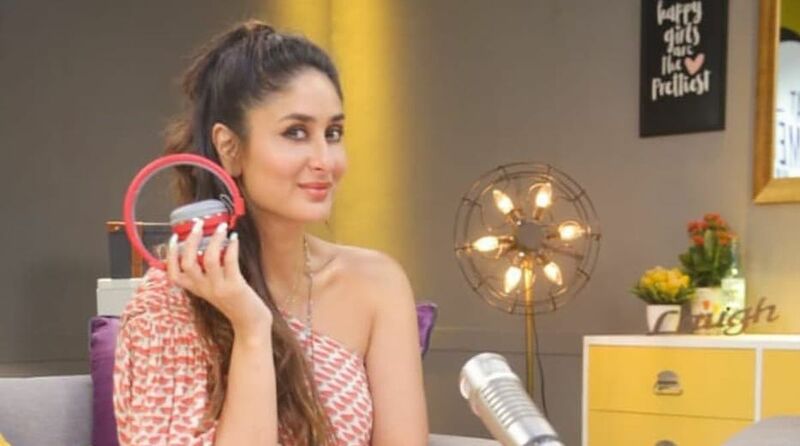 Kareena was interacting with the media when she launched her radio show titled “What Women Want with Kareena Kapoor Khan” on Ishq 104.8 FM on Tuesday, here. When asked whether it is difficult for actresses in the film industry to follow their heart because it’s consistently telling them to be a certain way and to look a certain way and they lose out on roles if they speak up, she said, “I think in any field there would be this issue. We hear about it a lot because we are in the film industry and lot of reporting is done of this field. “I am sure it’s everywhere but I think today we have lot of opportunities and path-breaking actors be it Radhika Apte and the girl in ‘Sacred Games’ Kubra (Sait – played role of transgender in the web series), so we are having these girls who are fighting back and doing these kind roles which is brilliant. So, I think we have to have gumption as actors or actresses that this is what we are going to do be it on any medium. Asked whether the film industry is giving a secure environment to women at the work place, she said, “Of course that’s what we want. We are openly having conversation today. The fact that so many women have come out and spoken, I think that’s a start. Kareena also urged that we have to keep this conversation alive. “It doesn’t matter whether you are biggest superstar or the smallest but women have to be secured and most importantly, we have to keep momentum going and keep conversation alive. If we keep that alive a lot will change.” Kareena expressed.